Like its cousin HDMI but intended more as a computer-oriented complement, the new DisplayPort standard was created in 2007 by the Video Electronics Standards Association (VESA) to define a more advanced method of carrying AV signal data. 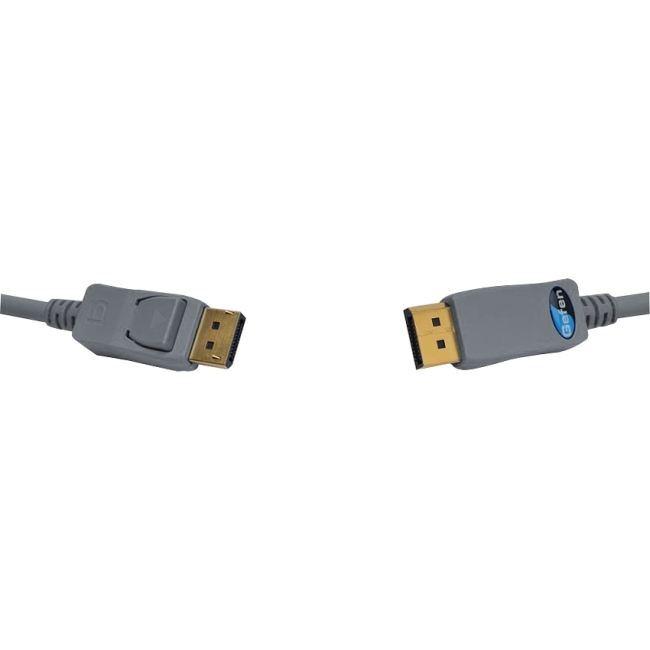 DisplayPort cables can carry both digital DVI and analog VGA signals within the same cable along with 24-bit audio and USB -- at farther distances and less expensively than other cable types. Thanks to efficient design considerations, DisplayPort has achieved breakthroughs in lower costs and ease of use. DisplayPort's freely licensed 128-bit copy protection scheme further open up new possibilities for AV enthusiasts, installers and developers alike whiile retaining legacy support for the 40-bit HDCP standard.